Let L = −Δ + V be a Schrödinger operator, where Δ is the Laplacian operator on ℝn, and V is a nonnegative potential belonging to certain reverse Hölder class. In this paper, we establish some weighted norm inequalities for area functions related to Schrödinger operators and their commutators. 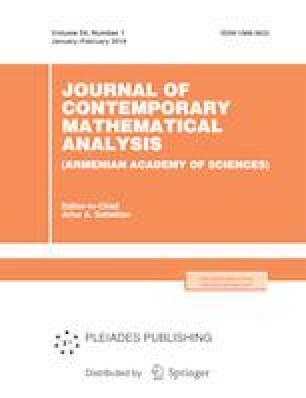 Russian Text © L. Tang, J. Wang, H. Zhu, 2019, published in Izvestiya Natsional’noi Akademii Nauk Armenii, Matematika, 2019, No. 1, pp. 40–59. The research was supported by the NNSF (11771023) and (11571289) of China.